A Deo Ad We Don't Hate? 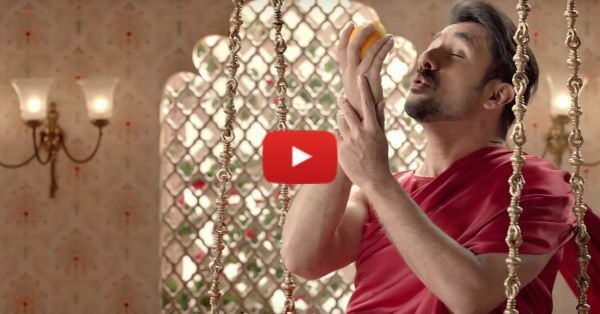 This Vir Das Video Is A MUST Watch! A man enters the room (or exits one) and suddenly turns into The Pied Piper - except he doesn't have a magic pipe but a deodorant instead, and the following of rats are replaced by many, many women... Remind you of something? Yes, that's literally every deodorant commercial ever. And if you're as tired of them as we were, then this video is what you need to be watching. Yes, there is finally one that we don't totally hate and actually makes a lot of sense. Vir Das rips apart all of those over-sexualized commercials that try to sell you chocolates and fruit juice by adding a gorgeous woman into the mix - who for some unknown reason - is really turned on by these products. Go ahead, give this one a watch. You won't regret it! P.S. : Also, to enjoy this, you might want to forget for a moment that Mastizaade ever happened! PLUS: Subscribe to POPxo on YouTube for original videos + our favourite videos from around the web! MUST-READ: #Aww: This Adorable Video Is Proof That Opposites DO Attract! MUST-READ: Dear Future Husband, PLEASE Be As Adorable As Fawad In This Ad?